It’s well known fact that the recently released Stumper of Puri Jagannadh- Nandamuri Bala Krishna’s ‘Paisa Vasool” film is hitting and shaking the social media like a strong solid storm.The stumper is fecting a fabulous positive response all over as it’s loaded with Puri Jagan’s mark makeover & his powerful punch liners which uttered by Nandamuri Bala Krishna is making all the netizens and fans of Puri Jagan & Bala krishna go crazy all the way. The stumper has already reached 3.5Million views on youtube in just 2 days which is a record by itself. No doubt that it’s because of this craziest combo fever ever in TFI ,Puri Jagan & Bala Krishna. But one other big thing that deserves a very special mention & applause is the cinematography . G Mukesh is the DOP of “Paisa Vasool” and this is his 3rd collaboration with ace director Puri Jagan after ISM & ROGUE.Mukesh has portrayed portugal in a very beautiful way bringing it’s & his best out. 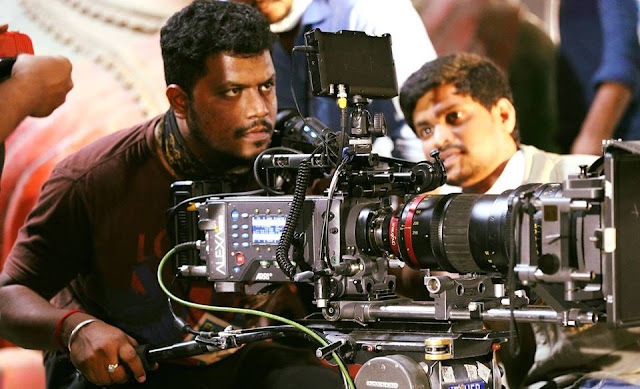 G Mukesh has already strongly showcased his creative caliber and capacity through his films like Dear Dad (Hindi) , Andhra Mess (Tamil), Rogue (Telugu), ISM (Telugu) and this guy who likes to call himself a “Camerakid” is really one such kind of a kid who is like born for and to handle camera. One can see his abilities if we see the beautiness, lavishness of the frames in all his films. He is well known for bringing the best beauty of whatever location he is given to shoot in in a short span. All his films fetched him a lots of respect, appreciation and applause for his stupendous frame work amongst the film fraternity. 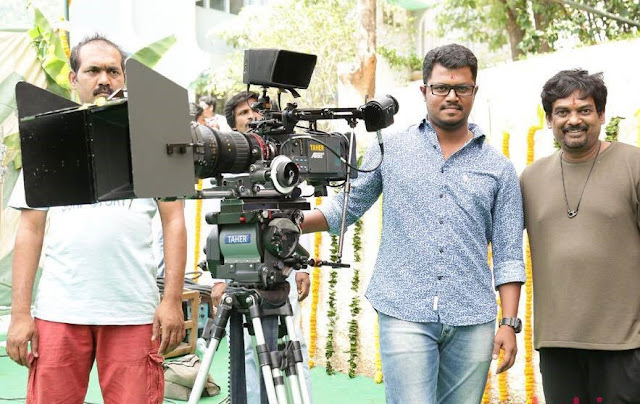 It’s well known fact that Puri Jagan finishes his films which solid speed levels for which he will be needing the help of a super speed DOP too to match his speed who is as speed as he himself is. G Mukesh is said be that one who matched puri’s speed levels which made them to work together for 3 back to back films. It’s heard that Puri Jagan is highly impressed with Mukesh’s way of work, his speed in framing & fighting, his colour & mood sensibilities and above all his constant passion and dedication towards his art,films and his very down to earth nature.It’s even heard from the unit sources that Nandamuri Bala Krishna is very much impressed with G Mukesh’s work and with his speed and keeps complimenting his very single day on his work. From what we hear from our sources it’s learnt that his next is gonna be a Hindi film and he even has bagged in another big tamil star’s next too. So by seeing all his past work & his future lines up’s there is no doubt in saying that every soon he is gonna give a tough fight for all the Top league Dop’s in the Industry and fetch himself a higher place place in his stream. Like they say Hard work never fails, Mukesh is one good example for that! Wishing G Mukesh all the very best for all his future endeavours.Good luck!